In 2011, a young man by the name of Chief Keef emerged on Chicago’s music scene as not only the hottest rapper in the game, but also one of the most feared rappers in the game. Most people remember exactly where they were when they saw 2012’s “I Don’t Like” video – a bunch of shirtless teenage Black boys holding guns, smoking blunts, and drinking out of those little white liquor-store cups in some random unfurnished living room. In the midst of all of them was Keef with dreads covering his face like a BD version of Cousin Itt. Nobody expected Keef to top records like “I Don’t Like” and “Love Sosa.” For a moment, he didn’t really attempt to. About two years and countless industry children later, Keef dropped a song called “Faneto. The song instantly became a hit not only in Chicago but everywhere. I mean, I still don’t know how New Jersey feels about the record, but that’s another story. To me, there’s nothing to compare. You don’t compare DeShawn Stevenson to LeBron James. You don’t compare McDonald’s to Au Cheval. So why compare one of Keef’s musical children to him? 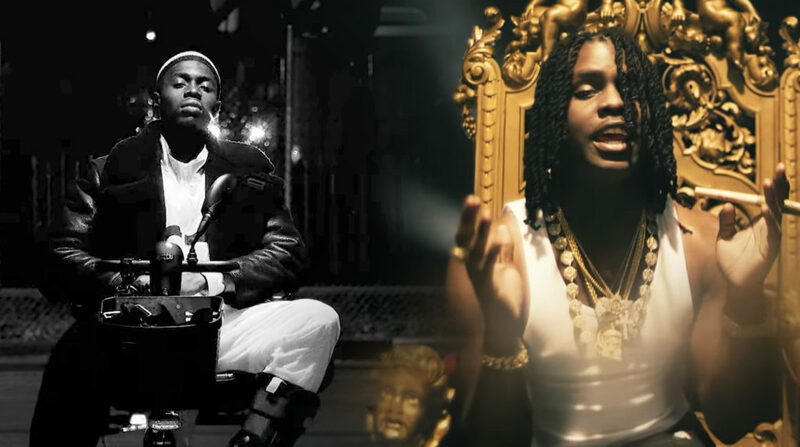 One of the main things people forget about “Faneto “ is that Keef made the beat himself! Please, y’all, put some respect on his name. I’ve seen people go crazy when “Mo Bamba” is played. It’s pretty exciting to watch. But, in 2018, five years after “Faneto” dropped, I’ve also seen an entire floor cave in when “Faneto” is played. If that doesn’t tell you which song is better, you must be Sheck’s cousin. I respect you, but you’re wrong. If you don’t believe me, do your Googles. You’ll see the destruction the song left behind. I don’t think there’s any more for me to say regarding which song is better. One guy made his entire song from scratch. The other guy copied the first guy’s lyrical method over a beat made by somebody else. Keef is the real winner. I know we are living in the microwaveable era in music, but let’s not dismiss originality for fugaziness. May God protect Keef and everyone who knows that “Faneto” is the real champion. Larry Legend is one of the hosts of Smoked Out Saturdaze, a YouTube show for people who enjoy good conversation over some of the finer trees in life.